-- The story of a modern-day ghost whisperer who travels through time to save the life of a WWII fighter pilot and ends up jeopardizing her own existence. But there's nothing easy or routine about Captain Jack Baker — he's a rather forgetful spirit and somewhat mischievous. And even though he's intrigued by the US Government's latest attempt to remove him from the only place he can ever remember being... he has no intentions of going anywhere. Plans to exorcise Jack are quickly sidelined when Izzy discovers a portal into the past inside her dreams and sets out to change his fate. Trouble is... when she gets back there, she can't remember anything but her name. She still sees ghosts, but is far less accepting of her gift. And, to make matters worse, a demonic force pretending to be the forgetful heroine's sister has her own plans -- to steal Izzy's soul. 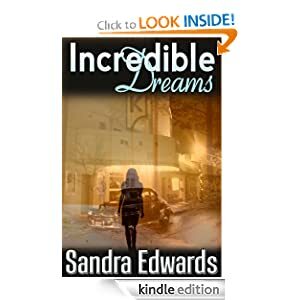 Incredible Dreams or to sample this book for FREE! Arthur (Art) Mumby and his irritating sister Myrtle live with their father in the huge and rambling house, Larklight, traveling through space on a remote orbit far beyond the Moon. One ordinary sort of morning they receive a correspondence informing them that a gentleman is on his way to visit, a Mr Webster. Visitors to Larklight are rare if not unique, and a frenzy of preparation ensues. But it is entirely the wrong sort of preparation, as they discover when their guest arrives, and a Dreadful and Terrifying (and Marvelous) adventure begins. It takes them to the furthest reaches of Known Space, where they must battle the evil First Ones in a desperate attempt to save each other - and the Universe. 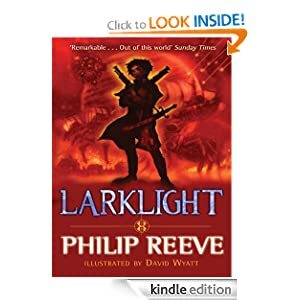 Larklight or to sample this book for FREE! -- One day while watching the Interstate exit for her dad’s long awaited return, Libby’s life is rocked when Peter Jamieson steps off his tour bus and into her life. After a couple chance meetings with Peter, Libby breaks away from her perfect behavior and her life changes course. Peter longs for normalcy away from the screaming fans who know nothing about the real him. He is amazed to discover Libby has never heard of him or his band. Soon their friendship turns to love. While Peter battles his family's growing interference so he can spend time with Libby, she struggles with her eccentric aunt who turns more bizarre each day. 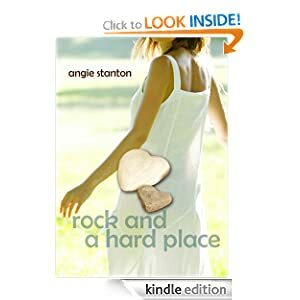 Rock and a Hard Place or to sample this book for FREE! -- You're ready to dash out the door, but the 4:00 snack monsters are grumbling... when you're trying to eat healthy, REAL food, how do you deal with cupboards full of ingredients when you need to grab and go? Healthy Snacks to Go to the rescue! From homemade granola bars to 15 flavors of a fruit/nut power bar and even homemade beef jerky, you will not go hungry with this helpful resource in your corner. Every recipe (over 45 of them, most with multiple variations) has extensive notes, rookie FAQs, time-saving tips and allergy-friendly icons. You'll learn to make from scratch to save your budget and nourish your family, even when your calendar says you're spending 9.2 hours driving people around in a day. All but 7 of the recipes in Healthy Snacks to Go are gluten-free (and 33 are also grain-free). Only 4 can't omit the dairy, nearly all work without eggs, and about half are nut free. Traditional foodies will recognize the soaked grain adaptations, and everyone benefits from the very low sugar and natural sweeteners used. For anyone trying their best to avoid processed, packaged, pricey foods, Healthy Snacks to Go will be one investment that will never lose its value. 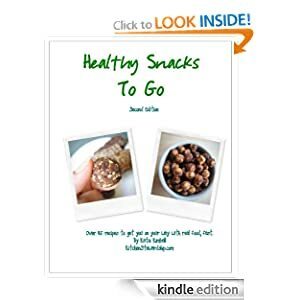 Healthy Snacks to Go or to sample this book for FREE!